1. Preheat the oven to 365 degrees. 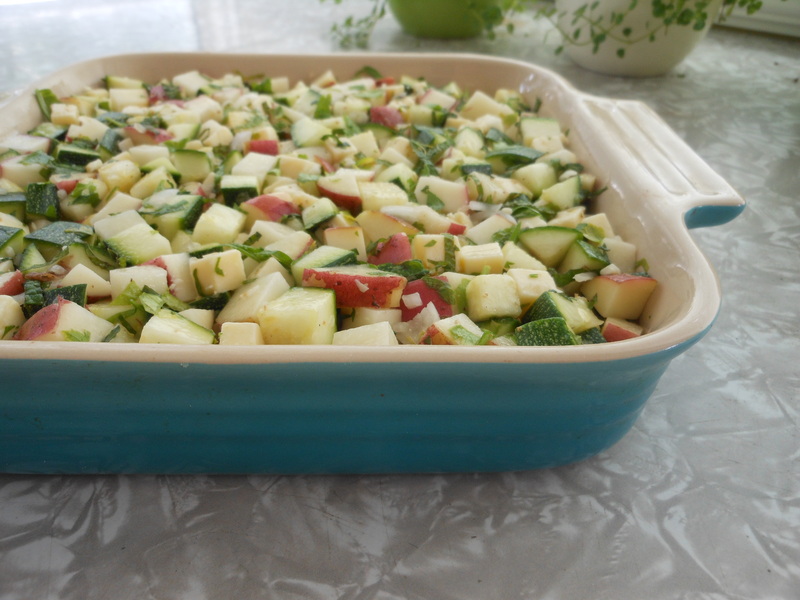 In a large bowl mix the potatoes, zucchini, shallots, cheese, mint and parsley. Season liberally with salt and pepper. Toss again. 2. Pour the mixture into your favorite medium size baking dish. Press the mixture into the dish to even it out and compact it just a bit. 3. Bake for 45 minutes or until the top is slightly brown and the cheese is super melty. Cool just a minute and serve warm. 1. 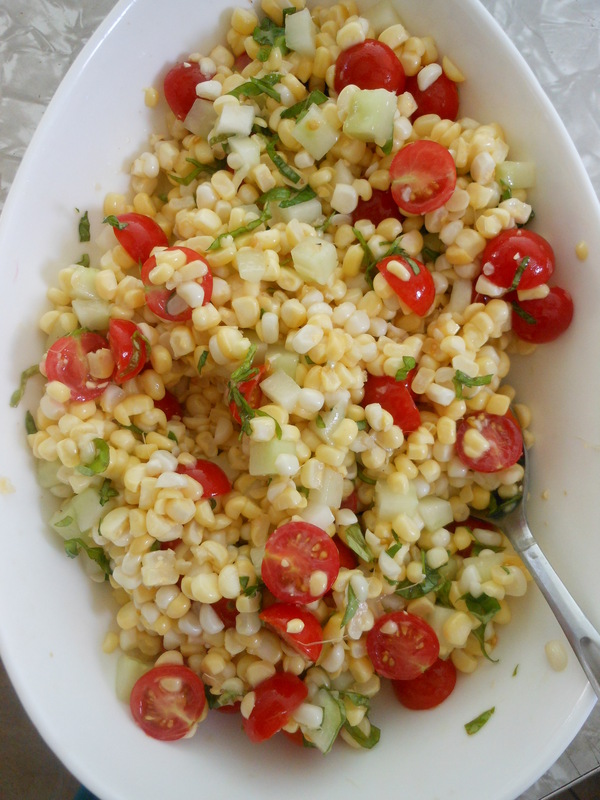 Place the raw corn kernels, tomatoes, cucumber, garlic and chopped basil in a bowl. Toss lightly. 2. 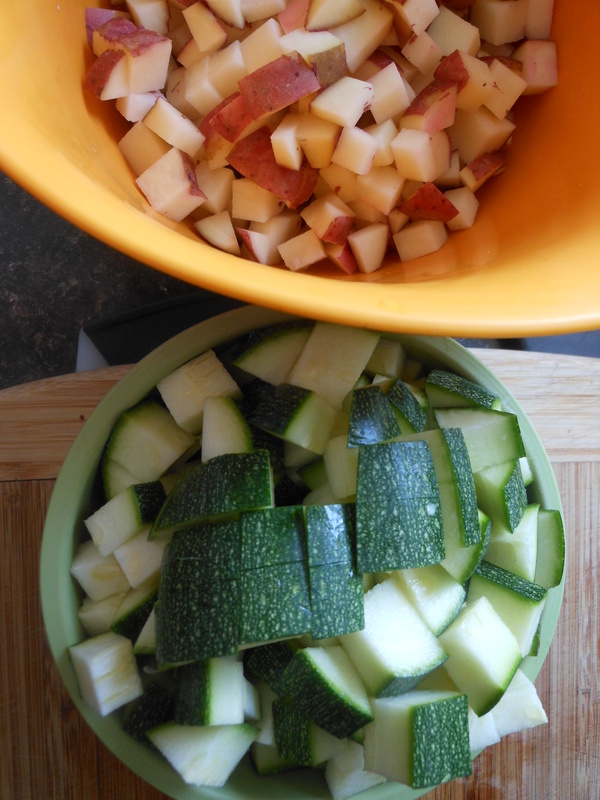 In a separate bowl mix together the vinegar and olive oil. Season to taste with salt and pepper. 3. Drizzle the vinegar/olive oil mixture over the corn mixture and toss lightly. Refrigerate for at least 1 hour and serve chilled. 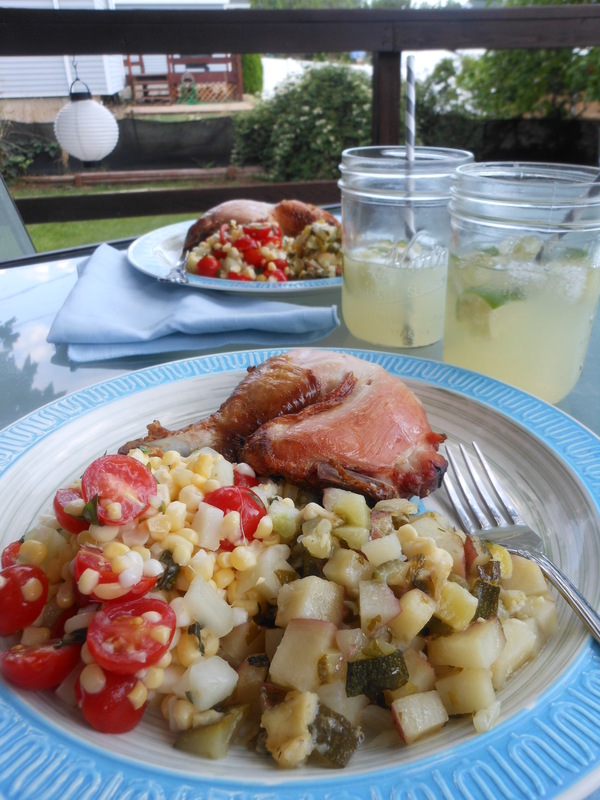 Pictured above is the two summer sides and McDowell Family Farm grilled chicken. Does summer get any better than this? I don’t think so. We also had a High West Vodka Lemonade- yum! 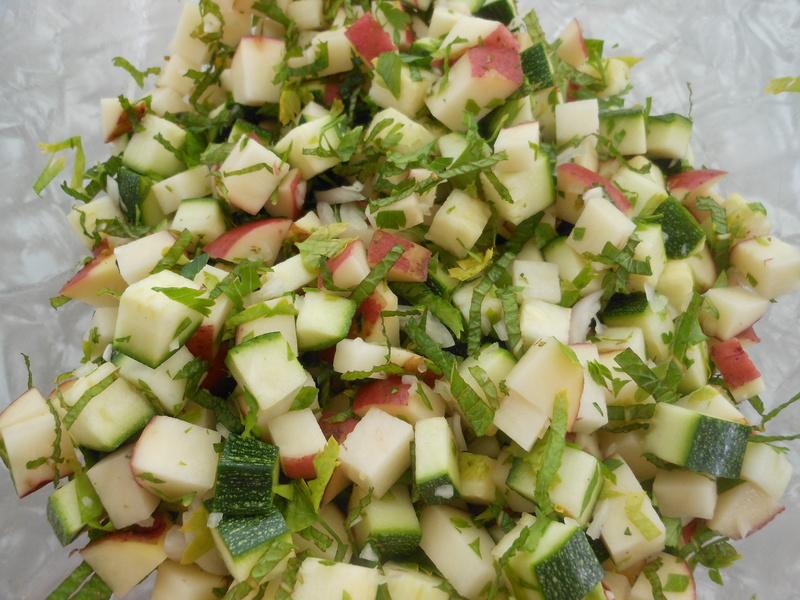 Summer is all about fresh local ingredients and these side dishes are full of just that. The Raw Corn Salad is fresh and sweet, the Potato Zucchini Bake is full flavored and comforting, perfect with grilled chicken. I hope one of these dishes shows up at your next get together.